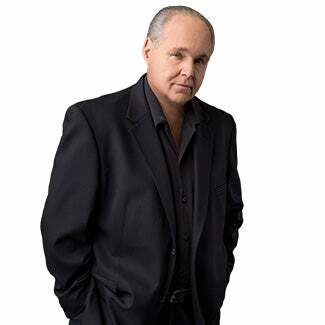 RUSH: For the first time ever, Fox News has come in third place in the demo. I imagine all of you are now sophisticated and knowledgeable enough about media affairs to know what the demo. The demo is 25-54. That hasn’t changed since who knows when. That demographic is considered to be the most important by the broadest spectrum of advertisers, because it is in that demographic that you have young people making up their minds about brands. Like what kind of beer that they’re gonna be drinking the rest of their lives and that kind of thing. When you get up to the 54-, 50-year-old range, now you’re talking about people with disposable income to spend on it. So that demo is the most sought after, advertising-wise. Therefore, broadcasters target it as well. Fox is finishing in third place now for the first time, I think, ever. And I’m gonna tell you how this… It’s gonna have impacts beyond what you would ordinarily conclude. It is going to have a serious impact on the kind of commentary you hear on Fox. I will explain in a moment. RUSH: All right, Fox News plummeting now to third place — this is prime time, by the way, but it’s gonna end up being throughout the day — in the demo 25-54. They still are winning in terms of total audience, which is cool. It’s a bragging right. You got 25-54, then you got 55, what is it, 65, 55, 72 is the next demographic above 25-54, and it’s a niche, and there are advertisers that spend money on that demographic. And Fox is solid there. But it’s 25-54 where the numbers get published. It’s 25-54 demographic where the media gets to write that Fox is plummeting first time in, well, 17 years since Fox commenced in 1996. Now, how’s it gonna manifest itself? Folks, it’s gonna manifest in ways that you would never figure. And, by the way, a little addendum here. Much the reason for this, the ratings decline, I have to walk very gingerly here, but it is not that upsetting to corporate executives at Fox. Much of what’s happening here is the result of purposeful inside the executive suite decisions. I don’t want to go any further than that other than to say the reason is that there are purchase objectives, media property purchase objectives around the world that would be facilitated if Fox is not as combative and is not seen as conservative as it has been. So much of this is by design, sadly. But here’s how it’s gonna manifest itself other than perhaps advertising revenue, which they think is gonna be a temporary loss. The wizards of smart engineering this think this is all temporary and they’re gonna be able to put it back together. That’s where they’re taking a great risk, and I kind of disagree with them. They’ve gotten rid of the people who made it. They’ve gotten rid of the people who built it. They’ve gotten rid of the people who knew how to and to fight off the competitors. They got nobody there that knows what they’re doing anymore, in my humble opinion. Now, besides all of that, when Fox was ruling the roost, Fox was therefore the place to go. If you’re a guest, if you’re an analyst, if you’re an author, if you are a commentator, if you try to get a commentator gig, many young conservatives, their career aspirations now are get a book deal and a Fox News gig and that’s it, that’s nirvana. Nothing about changing the course of history, nothing about furthering the cause. Just get some money and get some fame. And TV attracts all kinds of people with that objective. But when Fox was ruling the roost, everybody wanted to go there, despite what these liberals say about Fox this and Fox that. You will know as well as I do that many liberal Democrats, guests and otherwise, showed up on Fox all the time despite the things they were saying about it. Why? ‘Cause that’s where the eyeballs were. CNN and MSNBC, zero. I mean, they had asterisks. They had so few viewers it made no sense to go there. It made sense to go to Fox. And when you went to Fox — let’s say you’re Richard Clarke. Remember Richard Clarke and the Clinton administration, the counterterrorism division, who never, ever, wouldn’t see any way to concluding that Clinton could have identified bin Laden before 9/11 happened and all. Richard Clarke totally… (sigh) I’m trying to be polite here, just totally in the bag for the Clintons and for the left and the Democrats in analyzing 9/11 and bin Laden and so forth. When people like Richard Clarke, take your pick, when liberal or left leaning guests go on Fox, they know who the audience is. So they modify a little bit their opinions and what they say ’cause they want to be invited back, they want to continue to appear. Maybe some of them even want to get official analyst gigs, which can pay six figures a year. If you’re seen as a strategist, you’ll see a name, Anastas Mikoyan, Democrat strategist, you think, wow, that person works for the Democrats. No, no, no. They’re just some person off the street that’s got an opinion and they label ’em as Democrat strategists. They may have never strategized with anybody officially. When you go on Fox, because Fox is number one and because of Fox’s audience, you moderate your tone a little bit. You have it dictated by your desire to come back. With Fox no longer ruling the roost, these people will not have to pretend to take Fox seriously any longer. They will not have to acknowledge that Fox is credible as their reason for going on, and what’s gonna happen is they’re now gonna calculate, many of these people that MSNBC and CNN are the best places to go to get face time. And in that case, they will be back to their unbridled, extremist liberal worldview. And it’s gonna get even worse. My point is as Fox diminishes in the ratings, the extreme liberalism and anti-American leftism is going to get louder, it is going to become more common, it’s gonna be all over the place. Whereas those people on Fox had to modify a little, or if they didn’t, they were challenged. Their worldview was challenged by a host or by another guest. And they had to explain it and justify it, which many of them couldn’t do. This is going to change the landscape in a lot of ways that people are not even seeing. And that’s because they’re not highly trained broadcast specialists like I am, who can see these things coming. But that’s just something to keep an eye out for. Now, I’m not saying Fox can’t rebound or won’t rebound, but they have aced out the management team that built the place. They have aced out executives who were there and helped the people who built it and thus had central roles in maintaining it and growing it. And now people who for 20 years, 15 years have always been on the outside saying, “I can do better, I know better,” now it’s their turn, and they are demonstrating that they may not really know what they’re doing. We’ll see. MSNBC and CNN are not gonna change. I mean, they’re as incompetent as ever, but the difference, big difference in this equation is Fox. And I just want to warn you, you may already think that has happened even before the events of the past year. I mean, I’ve heard people complaining to me that Fox isn’t what it used to be for a long time. Haven’t you? So just expect that to accelerate. What else do we have? Monica Lewinsky, speaking of Fox. (interruption) No, I’m not making it up. MSNBC won the prime time 25-54 demographic for the first time ever, for the first time ever. Seriously, look at how little time this has taken. Seventeen years at the top, and depending on one year, six months, bam, it’s over, 17 years can be erased in less than one year? Yep. It looks like it.